CBOX OpenLab is a newly-released version of Commons In A Box (CBOX) modeled on The OpenLab at City Tech, an open digital platform for teaching, learning, and collaboration created for New York City College of Technology, CUNY. City Tech’s OpenLab has been used by more than 25,000 students, faculty, and staff since its launch in Fall 2011. 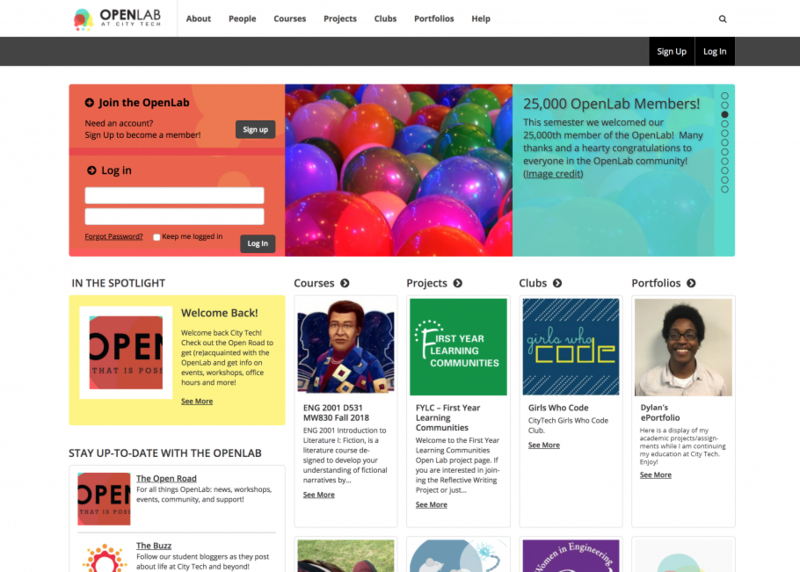 Visit the OpenLab to see it in action and learn more about the project. As people start using CBOX OpenLab we will update this showcase to share their work. Contact Project Director Matthew K. Gold (mgold@gc.cuny.edu) and Associate Project Director Charlie Edwards (cedwards@citytech.cuny.edu) if you would like us to highlight your project here.